The organization's Charter is a fundamental set of rules governing its activities and the relationship. The basis for registration changes in the Statute is a preliminary making appropriate changes in the constituent documents. Was timely changes to allow the organization of its activities legally. - payment order or receipt confirming the payment of state duty for copy of Charter (if necessary). To prepare a package of constituent documents with the introduction of the relevant changes that need to be approved by the Director. This can be a new version of the Memorandum and articles of Association or changesmade to them. To fill out and notarize the statement on state registration of amendments in the Charter in the form of number Р13001 recommended by the letter of FTS of Russia from 25.06.2009 №MN-22-6/511. The witness must be the head of the company. Make the payment of the state duty in the amount of 800 p. in accordance with article 333.33 p. 1 PP.3 OF THE TAX CODE. Payment is made to the settlement account of the enterprise followed by submission to the registering authority a payment order marked by the Bank. Account details can be specified by the registering authority. In the absence of a settlement account, payment can be made at any branch of Sberbank. Prepare the request by issuing a free-form, with a request of issuing new copies of the Charter that may be needed in the future for presentation to the Bank or the counterparties. In this case, you must submit two copies of the Charter and to pay the state duty, the amount of which is to clarify the registering authority. To obtain a new copy of the Charter can also later, after the registration. After learning the mode of operation of the registering authority, to hand over documents. The registration procedure from the date of adoption is not more than five working days. If you cannot submit the documents personally, they can mail it to you. A letter sent with a return receipt and list, which is filled in two copies. To register changes in the Charter, you can take advantage of a common information state portal. The documents are submitted in one copy. The registering authority shall notify the applicant of the method and time of receipt of registered documents, sending information to the e-mail address. 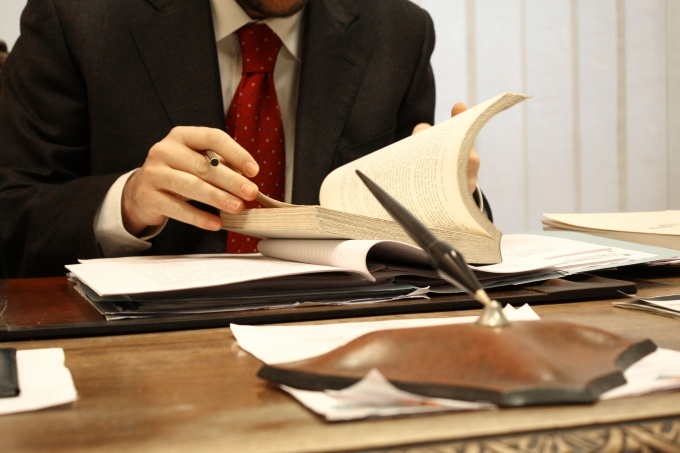 Documents are issued to the Director or the representative acting under a power of attorney. It should be borne in mind that some changes to the Charter are required to register within three days. These include: organization name, change of address, opening of the branch, and so on. Otherwise, in accordance with article 19.7 of the civil code of the Russian Federation on administrative violations, possible fines of up to 5,000 R.
Reassuring statement on the state registration of the notary, it is necessary to have originals of all statutory documents, including the order No. 1 on the inauguration, as well as the certificate of incorporation. Time information about the head should not exceed 10-30 days.